Urban gardening is a great way to bring life and color to your city landscape. If you live in a city that experiences cold winters, however, there will come a time in autumn when that life and color will begin to fade. 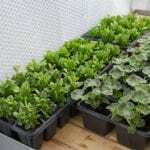 Urban gardening is often synonymous with small space gardening, and urban gardening in the winter is no exception. Keep reading for more information on how to overwinter an urban garden. Winter plant treatment all depends upon the type of plants you’re growing. If it’s annuals you’ve got, they’re going to reach the end of their life cycle with the cold no matter what you do. Once they’ve died, chop them up and place them in a compost bin if you have one. If your space is too small for compost, you can still benefit from their nutrients by chopping them up and laying them back on top of the soil: over winter they’ll decompose and enrich the soil for the spring. Of course, if any plants are diseased, don’t do this! Dispose of them far away from your garden and definitely don’t compost them. Protect your soil from erosion by covering your containers or raised beds with hearty layers of mulch and compost. This will also provide more soil enrichment as the compost and mulch break down. If you’re growing perennials or warm weather plants, of course, urban gardening in the winter becomes a different story. If you live in the city, you may not have the space to bring a whole slew of plants indoors. And the good news is, you don’t really need to. 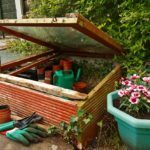 Plants can go into shock and die from the sudden change of environment, and all but the truly warm weather ones will actually fare better outside with the proper treatment. If your plants are reasonably hardy and well-established, mulch them heavily, wrap their containers (if they’re in containers) in bubble wrap, and cover the whole thing with burlap or blankets. Move them, if you can, out of any areas that receive direct wind. Let the snow cover them – this will actually help a lot in insulation. 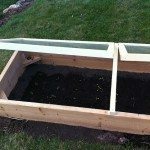 If your plants are less established or less cold hardy, consider building a plexiglass cold frame, if you have the space. It need only be big enough to fit your plants and provide air circulation, and can be built to fit your space. It can also be dismantled and stored in flat pieces in the summer to maximize on space.